Looking for a vacation apartment in Paris ? Apart Inn Paris is a real estate agency specialized in the management of short term vacation rental properties in Paris since 2011. You are seeking a flat for rent for your next business trip or an holiday apartment in the center of Paris ? 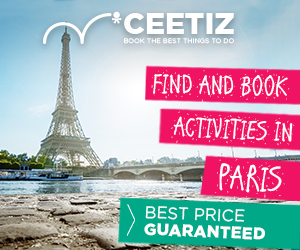 Look no further, you will find everything you are looking for on our website Paris rental apartments. From the studio to the two bedrooms apartment, we manage vacation rental apartments in the best touristic places of Paris such as Le Marais, Montmartre or even Les Champs Elysées. From 1 night to 3 months, our fully furnished flats suit all your needs and offer you a cheaper and more flexible alternative than classical hotel. Our team will be glad to welcome you in our fully furnished apartments and will do our best to make you feel at home ! During your stay, our customer service will answer all your questions and resolve all your issues as quickly as possible. In our apartments, not only do you sleep in Paris but you live like real Parisians ! Owner of a furnished apartment in Paris ? Apart Inn Paris offers you the possibility to rent out your apartment to our international customer base. Our property management includes photos of the rental apartment, revenue management, cleaning, online reservation, customer reception and customer service. With only 50 apartments, you can be sure that our team will take care of your vacation rental apartment and ensure you that it will be filled maximally throughout the year on different portals such as Booking.com, Airbnb, Only-apartments and so on. To submit your property, please fill in this form and we will get in touch with you shortly.